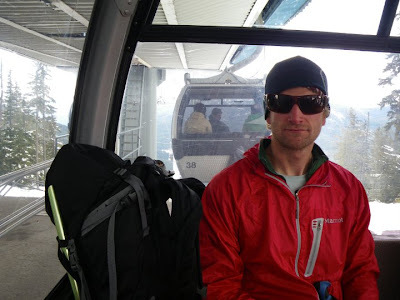 I was fortunate enough to recently acquire the Trail Wind Hoody from Marmot. Upon first inspection of this garment it seemed great. It had all the features I would look for in a lightweight wind layer: Hood? Yes. Drawstring closure at the hem? Yes. Small pocket? Yes. Super lightweight? Yes. The garment talked the talk but could it walk the walk? 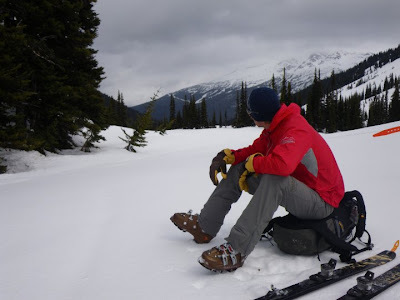 I brought it to Canada for two weeks of ski touring to find out. With the constant movement of ski touring it can be difficult to find an equilibrium with layers to not be too cold while not melting on the uphill. So with this equation, choosing appropriate layers is difficult. The Trail Wind Hoody outperformed my expectations. 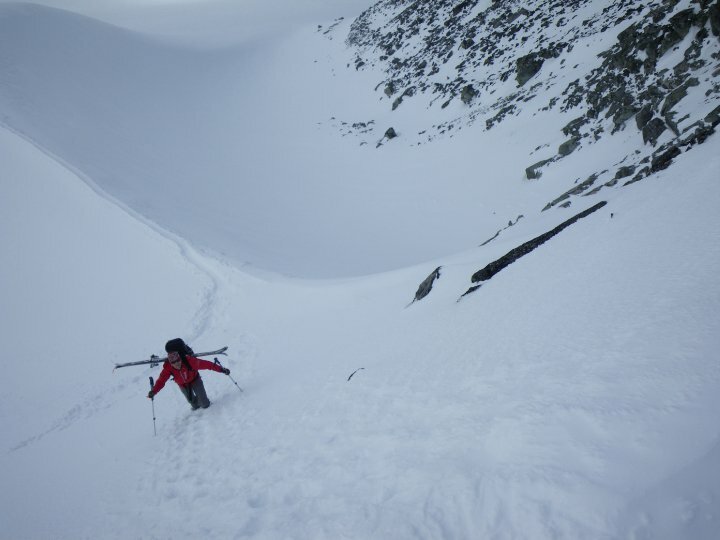 During a 2 day ski traverse we encountered rain, high winds, blasting sun, and total whiteouts. The Trail Wind Hoody left me cool enough for the 3000 foot climbs and blocked the wind on the 4000 foot descent from the top of Whistler. When the weather got nasty, I pulled the drawstring hem and cinched the hood to block out the elements. The chest pocket conveniently held my sunblock and lip balm for easy access. It fits into its own pocket for easy storage and at a mere 4oz. this jacket helped keep my multi-day pack under 30lbs! This jacket will surely be a go to item for all my guiding objectives this year. Whether I’m on the Diamond or cragging in Boulder Canyon, the Trail Wind Hoody will be with me. Great review. I have the driclime catalyst which is superb though not quite as flexiable as the simple windshirt. Does the trail wind flap about when moving or in high winds? I currently have a 'Paramo Fuera Windproof Smock'. Though heavier it has an unbelievable hood and it's thicker making it more durable. I also have a 'Montane Lite-speed' which is similar to the Trail Wind. So with this equation, choosing appropriate layers is difficult. The Trail Wind Hoody outperformed my expectations. During a 2 day ski traverse we encountered rain, high winds, blasting sun, and total whiteouts. What excellent trip,I would like to go to the mountains of Sweden and practice Skiing!